What began with James Brooke's arrival in Kuching, Sarawak on 15 August 1839, developed through four generations into a unique relationship between the Brooke family and the peoples of Sarawak. In 2010 with the encouragement of Rajah Muda Anthony Brooke, then aged 97, it was felt the time had come to reconnect with Sarawak. 175 years since Royalist's famous voyage and in the sixth generation of the Brookes of Sarawak, a Trust was formed to safeguard the Brooke family’s collection of papers and artefacts. 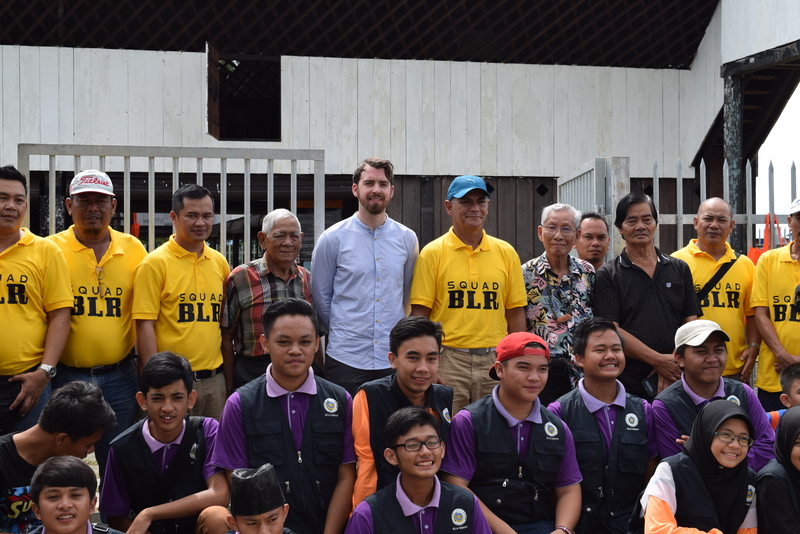 The Trust has evolved beyond its original intentions into a dynamic volunteer-led charity that aims to share and explore the extraordinary history and heritage of the Brooke dynasty in Sarawak by working on projects that engage, inform and inspire as well as encourage responsible care of our world. A charity dedicated to sharing Sarawak’s unique history and heritage. On 24th September 1841 James Brooke became sovereign ruler of the independent Raj of Sarawak, stating confidently that he ‘. . . must never dream of returning to my native land, until at least, some measure of good has been accomplished’. This aspiration must surely have been surpassed if only through bringing into existence the State of Sarawak with a complex ethnography made up of many distinct cultures living together in peace with one another as good neighbours. But this wasn’t only a Brooke achievement. It was ultimately the people of Sarawak who embraced what was a most unconventional form of government and made it a success. This is something very special, unique, intangible and powerful. This has laid the foundations for the Trust’s ambitions and we try to tap into it in every aspect of our work. Today, it feels like the work of the Trust is helping to reflect the evolution of James Brooke's grand plan. We hope he would approve.